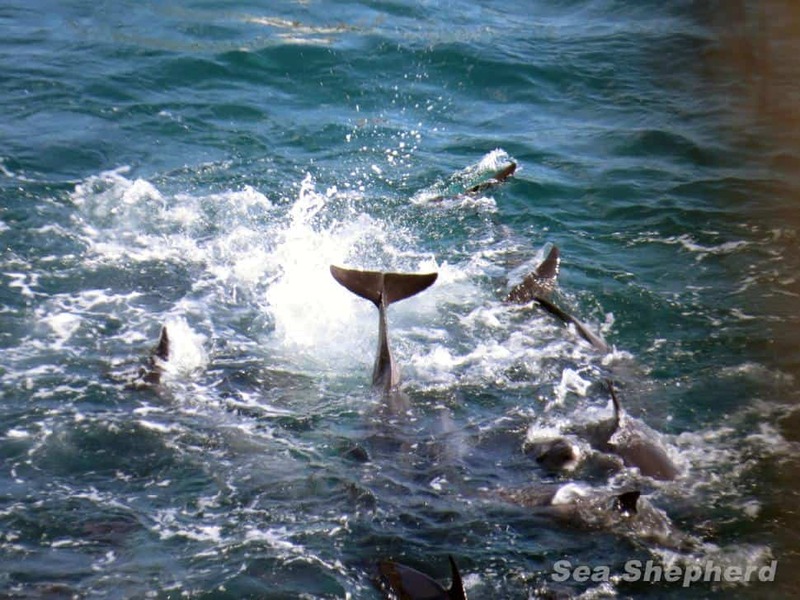 Operation Infinite Patience: Is The Tide Turning In Taiji? “The Cove Guardian team leader Melissa Sehgal and her incredible crew have been on the ground this last week during the largest dolphin drive of the season. 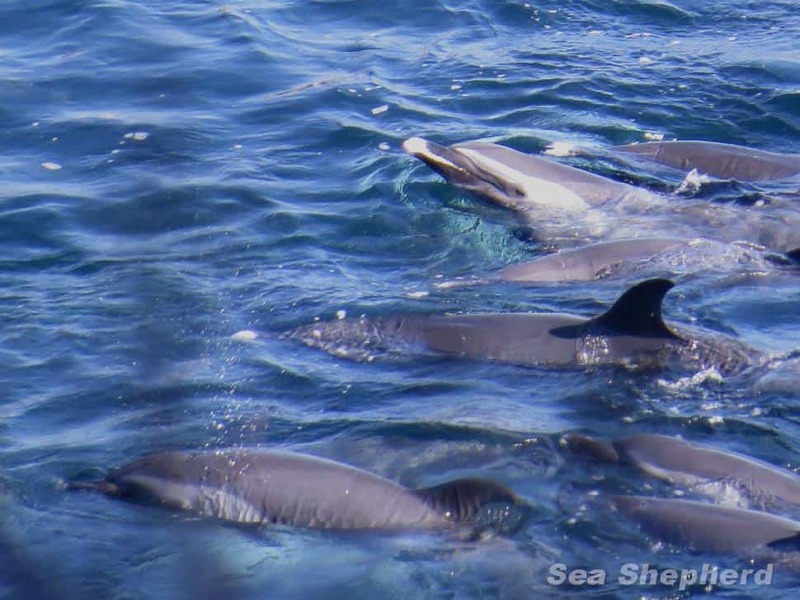 “These brave volunteers must not only suffer the trauma of witnessing the horrendous slaughter of these gentle and beautiful creatures, they must also endure constant surveillance from the police, harassment from the government of Japan, physical threats from ultra nationalists and criticism from people, mainly Westerners, who think that Westerners have no place opposing a Japanese slaughter of dolphins. 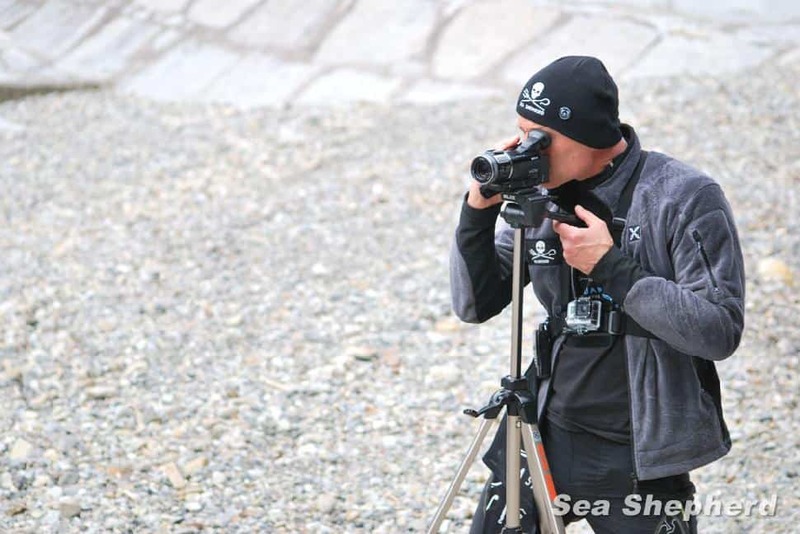 “The Cove Guardians are on the ground each and every day from September 1 to March 1. They are there at their own expense and they come from all over the world and if not for the fact that they are on the ground at all times, the dolphin drives and all the brutality of the captures and the killing would go unnoticed. “The Cove Guardians are the eyes, the ears, and the conscience of the world and they are there not to criticize Japan or Japan’s illustrious culture, but to remind the world that a small group of thugs are shaming the entire nation of Japan with their barbaric and monstrous behaviour. “There are those who believe that only the Japanese can end this bloody ongoing massacre. Sea Shepherd Conservation Society disagrees with this position. In fact we believe that external pressure is essential for success. “What the Japanese government responds to is ‘gaiatsu’. This means foreign pressure and every single piece of Japanese legislation dealing with marine conservation has been passed because of gaiatsu. “If people in Japan feel that there is rising anti-Japanese sentiment because of the slaughter of dolphins, the answer is to stop slaughtering dolphins. We are not creating this anti-Japanese sentiment. It is the slaughter that is creating this animosity. We are merely exposing the horror that is the truth of Taiji. Do they wish to chastise us for being the messengers of truth? If Japan is being viewed by many with anger and even horror it is because of the slaughter, it is not because of us. “The dolphins do not belong to Japan. They are a nation and a culture unto themselves. The Japanese are partially right when they say we do not respect their ‘food culture’. “We simply disrespect that part of their ‘food culture’ that violates the culture of the dolphins. “When it is a choice between a culture that reveres life and a culture that extinguishes life, we embrace the former and condemn the latter. “When the Japanese say there is no difference between pigs and dolphins, our answer is that the crews on the Sea Shepherd ships and the Cove Guardians do not eat pigs, or cows, or chickens, or fish. “But aside from that there are real differences. 1. Dolphins are wild animals and pigs are domesticated. 2. Pigs are raised in slavery and dolphins are captured and violently forced into slavery. 3. No slaughterhouse in the world would legally tolerate the cruelty regularly practiced by the cruel thugs who viciously slay the dolphins. 4. Pig meat would not be allowed for sale into any market if it contained even a quarter of the level of mercury and other heavy metals as dolphin meat. This comparison between dolphins and pigs is bogus and simply and thoughtlessly repeated from a script provided by the government. “When the critics say it is a tradition, this is a lie. The drives began in 1969 about the same time as the marine aquarium industry began, and today the economic thrust is primarily for the capture and not the killing of the dolphins. There is nothing remotely traditional about capturing dolphins for display in marine aquariums. “When the critics accuse us of racism for targeting the dolphins of Taiji, they simply refuse to acknowledge that we also oppose the slaughter of whales by the Faeroese, the Icelanders and the Norwegians, the killing of seals by the Canadians and Namibians, the killing of sharks by the Australians, Costa Ricans and Ecuadorians, the wiping out of tuna by the Maltese, the Spanish and the Tunisians. For those who need to resort to accusations of racism, it merely means they are attempting to defend the indefensible by deflecting it with something they think will trump our opposition. “The defense of the dolphins is the legitimate right of all of us who abhor this abject cruelty and this barbaric slaughter. “For those who say we are bullying the ‘poor’ fishermen, my only response is how do you bully a murderous thug who takes delight in inflicting pain onto a gentle, intelligent, socially complex sentient being? Can you really bully a killer armed with a knife when you are armed with a camera? “The killing of a dolphin is murder in the eyes of most of the world and this perspective is not negated by another culture that supports and promotes slaughter as ‘cultural’. “The bullfight in Spain is cultural and it is despicable. The bullfight has been outlawed in Catalonia for that very reason. The fox hunt now banned in England was cultural and was outlawed because it was cruel. “My answer is that I would welcome that. Any Japanese citizen offended by the slaughter of kangaroos or seals or any other animal should oppose any culture based on cruelty and killing. “The Japanese government needs to decide if defending the actions of a small group of Taiji thugs is worth the anger and bad feelings from millions of people around the world towards Japan. “The killers have brought shame to all of Japan. In a nation where more than 95 per cent of the people do not eat dolphin meat, there has to be some thought that it is simply not worth it. “Yes the tide is turning and the world is getting angrier in the face of this growing awareness, an awareness made possible by a small group of highly dedicated, passionate volunteers who have come to Taiji at their own expense to bear witness to a crime against the future and thus a crime against humanity.